J.M. 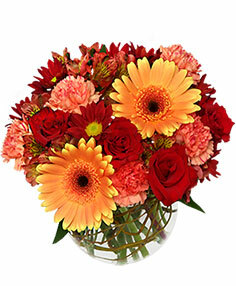 LANDSCAPING & NURSERY captures the essence of the autumn harvest with their colorful fall flower arrangements. Radiant reds, rustic browns, and golden yellows are all perfect for this season. Having a party or get-together? Nothing adds more to a room than a festive fall arrangement. It's the perfect coversation starter! 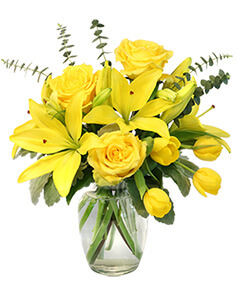 Whether you want to send as a gift or keep for yourself, J.M. 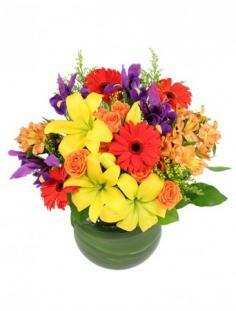 LANDSCAPING & NURSERY can help with any type of fall flower arrangement! Winter is a season of powdery-white snow, fresh cedar and pine, mistletoe and more. This heavy season's beauty is best adored indoors. J.M. 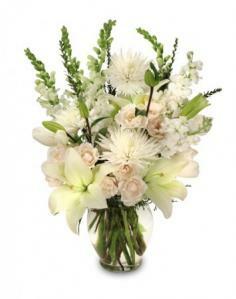 LANDSCAPING & NURSERY can help you order a festive arrangement of winter flowers for yourself or a deserving friend. Reds, greens, whites, golds -- all brighten even the chilliest of spaces. Winter parties are so much better with the color of winter blooms! So remember the helpful staff at J.M. LANDSCAPING & NURSERY for your flowers this winter.